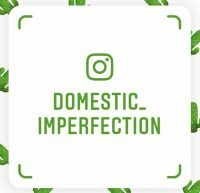 oh… and isn’t your blog name Domestic IMPERFECTION?!?!?!??! :) :) I love how you keep it real! That it is. You’ve convinced me…I’ll start collecting pictures and post it sometime this month, clean or not! I absolutely love your blog! I have been so inspired and I am currently trying out your Dirty Cowboy treatment on my salvaged (okay, found on the street with a FREE sign) solid wood dining set and my rummage sale bedside table! So far, the bedside table is awesome! Thank you so much for sharing your ideas! I’m even stenciling my dining set! I love your creativity. Can’t wait to see other projects. You gave me some wonderful ideas to use on some of my furniture that I hate. Thanks. I just wanted to offer up, depending on how important it is to you to get this accomplished in this lifetime (I remember the life of mom with toddlers and babies) when we needed to take pictures for listing our house in the middle of some update projects we just cleaned out a room, put away the items we could and cleaned that room and took a picture or pictures and moved onto the next room and did the same thing. It didn’t have to be spotless and at the end we had a much cleaner house and all the pictures were beautiful. You never knew that behind the camera the next room was a disaster. Good luck. Haha, thanks Kim. Moving the mess around is definitely the approach I have taken :) I’ve actually already photographed most of my rooms, I just haven’t gotten around to putting all in one spot yet. With so many other things going in I just keep forgetting about it! Just get one room clean at a time…….we’ll wait. I loved how when you posted the kitchen pics and then behind the wall was life. Makes me feel so good because I am not alone In the chaos of having small kids. Love your blog so strying to convince my hubby to move the cabinets up. Such a great idea. Can’t wait till you post ahouse tour. Thanks so much for posting all the pics! You’re creativity is amazing and really inspires me. I’m painting our downstairs areas a mixture of blue and green. I wish I had seen the shade of blue you chose before I started! Keep up the great posts. Thank you so much for showing us a real home where real people live. I’m thrilled to find I’m not the only one who doesn’t live in a mansion with professional interior decorators, landscapers and organizers to do everything for me. I’d hold your home up before the thousands of “pro” jobs. Beautiful. Just beautiful. You’ve inspired me to tackle my kitchen. Thanks again! Thank you so much! You are not the only one that lives in a non-glamorous home, for sure. I like that my home is casual and comfortable and that my stuff is cheap..I don’t have to worry about it! Glamour sounds exhausting, haha. Now go tackle that kitchen girl! What an amazing house tour!! I especially love the two tone kitchen! Would love for you to join in my design in your home link-up. I feature my favorites every month! I came upon your blog and I love it! You have done great things with your space! I just found your blog this week via FB, one of my friends shared a before/after picture of your kitchen and I HAD to see more. I am in LOVE with all of your style!! You do an amazing job and have impeccable taste. Thanks so much for putting all of this together, I am already incorporating some of your ideas into my house and plan to use many many more of them! :-) Plus you have inspired me to finally continue re-decorating/modeling my older (1986) styled home! Cant wait to see what other projects you have in store and am very excited to try some more projects you have already posted! stumbled across your website this morning. Never had heard of a paper bag floor before. really like reading your blog. I absolutely love what you’ve done with your kitchen. Would you please tell me the brand of paint and the stormy blue actual name you used on your lower cabinets? I would appreciate hearing back from you. Thanks Susan! The lower cabinets are Grays Harbor from Sherwin Williams. 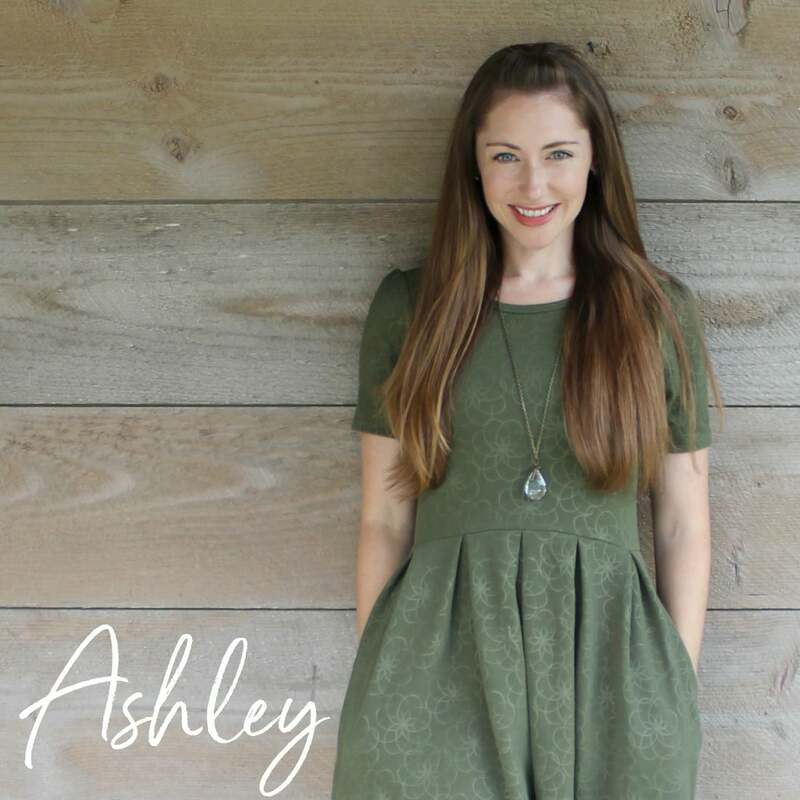 I just found your blog through iHeart Organizing — your home is gorgeous! I love your style. I love your style, eye for detail, and knack for putting things together. I think we have very similar tastes in home décor. And your witty sense of humor tops it all off. Kudos on such a nice website. Awesome house tour! I came across your blog while searching for how to make a shower curtain. Can’t wait to look around more. Thanks for keeping it real! That looks like my master bedroom. Also, I love the wall treatment in the kitchen. I adore your front porch! What a lovely way to say “welcome” to friends and family. I really like your blog. very nice colors & theme. Did you create this website yourself or did you hire someone to do it for you? Plz answer back as I’m looking to construct my own blog and would like to find out where u got this from. thanks a lot. We are closing on our house this friday, it is 1523 sq ft. When I told friends and family, a lot of them think it is a little small. 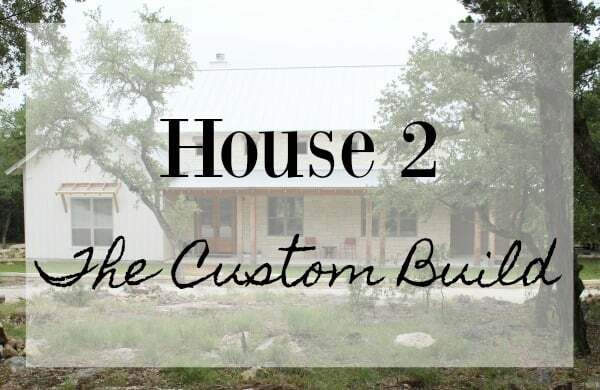 I would love to see a blog post on your thoughts on house size. Congrats on your house! That is actually a GREAT topic for a blog post, I will put that in the queue. I don’t feel like my house is too small though, not at all. I actually feel like it’s the perfect size. I’m probably different than most people though because I never wanted a giant house…it’s more upkeep, cleaning, maintenance, and taxes. I want to use every part of my house, so having things like an eat-in kitchen AND a formal dining room makes no sense to me. 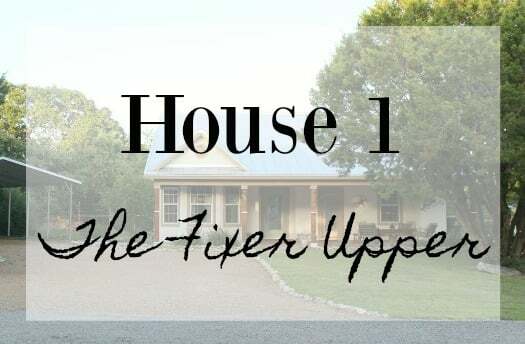 There are a few more things we will be looking for when we move though – I would like more land, more outdoor living space (decks and porches), a real garage with workshop, and a forth bedroom (only because we plan on having more children). Other than that the amount of space we have isn’t an issue. I do think its a great blog post because there is the small house movement but then most people I know have 2500+ sq feet. I clicked over from your feature on Southern Hospitality today, and man, I’m so glad I did. First, I love the photo of you and your family. So real to not be looking at the camera. And next, I love your home, your down-home southern style to invite folks in regardless of how clean it is. That is true southern hospitality. I’ll be back. Great blog! Thanks Kim! If I waited to have a clean house before I blogged or had guests over then I would be a very lonely woman, haha. You have done a fantastic job of renovating while raising young children!! Might you share, if you know the blue-gray color you chose for the hall/foyer and the really nice shade of green in your family room? We are re-doing an 80s house in Texas ourselves, and your choices are really nice! Thank you Tammy! As far as the colors in my house…I mixed them myself. I hate that I did that because now I can’t touch up nicks and dents, and I can’t give readers a paint name either. In the living room I literally bought so many samples of green that I just mixed them together in a five gallon bucket and went with it. Green is such a hard color to get right and I was not happy with any of my samples….luckily mixing them together made the perfect green. I have compared my walls to the most recent paint book at from HD and I do have a couple suggestions. Bay Water (S380-4) is really close, but my green has just a slight tinge more yellow in it. Balance Green (S360-3) pretty much right on the money…except it’s a shade or two lighter than the color on my walls. I was just introduced to your blog via Southern Hospitality and have spent the last hour looking around. I love your attitude about decorating and your comments about your boys remind me of the time when I felt the same way. Now my boys are all grown and out of the house and I’m left with just one messy husband and two messy dogs :) Anyway, I would like to know the color of green paint you used in the guest bath and also in the living room. I’m looking at green paint for the dining room and I really like the colors you chose. Thanks! I actually get asked about the green paint color all the time and I hate having to tell people that I mixed it myself. I was having such hard time finding a green I liked… I literally bought so many samples of green that I got frustrated, mixed them together in a five gallon bucket, and went with it. Go figure that the outcome was the perfect green. I’ve compared my walls to the most recent paint book at from HD and I do have a couple suggestions though. Bay Water (S380-4) is really close, but my green has just a slight tinge more yellow in it. Balance Green (S360-3) pretty much right on the money…except it’s a shade or two lighter than the color on my walls. I love your projects!!! But what I really loved was seeing your “real” pictures with all your families messiness! Sometimes my house is such a dump and I wonder how everyone else does it! Nice to know I’m not alone and my messy livingroom of toys and clothes and dishes is just real life. Thank you for that. BUT another question- how do you get so much done with two little boys running around? I only have one, and he keeps me soo busy! Loved this tour! I’d seen some of these rooms on Pinterest before but now I know the blogger who belongs to them! I absolutely love your kitchen and breakfast nook! Definitely sticking around as a follower. :) Can’t wait to keep up with you with more projects! Our your site is simply too great, content, images tips are fantastic, programa de reconstrução capilarreal congratulations, very good !! I loved your house, Really amazing set up :) The way things are placed is just perfect. Keep on posting just amazing work. Honesty about your room has made my day. It the same for my house. What a lovely house! I loved that gorgeous windows and blinds. Everything looks perfect. You definitely inspired me to revamp my own house! I love what you and your husband have done! So my question for you…Did you obtain financing for a construction loan that allowed you to finish the interior yourselves? How were you able to work out all of the not-so-fun details to make this happen? We did….or at least we thought we did. Turns out there is really no such thing, all banks/mortgage companies want you be 100% finished to close on the construction loan. We scrambled for months to get it “finished”, doing things like painting the plywood flooring upstairs and stapling paper over our exposed insulation ceilings. These things checked the boxes enough to close on the loan, but they were stupid and annoying and a total time waster. We would probably have gone about it a little differently if we were to do it again. We figured that since we had already paid off 3/4 of the homes appraised value (we used the money from the house we sold) it wouldn’t matter because it was a safe loan…but that’s not the case at all. Definitely learned a lot during this process! Wow ! Most ‘special’ These look gorgeous.Continue sharing. I just finished tour Your House 2. LOVE the simple and cozy look of your home. Thanks for keeping it real! That looks like my master bedroom. I love the chance to know different houses, I love this type of content. thank you! I love how you keep it real!Thanks so much!